Apr 9, 2019 1:10 AM CSTI love animals but I dont want pets in the house at all. What do you think of me? I love animals. I am a vegetarian because I am totally against having animals suffer for the sake of my nutritional pleasures. I am part of an animal rights group. I teach my kids to be kind to any insect that enters my house. But I would never have a pet in the house. No compromise. I wont let an animal lick all over my face and hands. Never. Maybe because I am a neat freak. I was just hoping that there are people out there who love animals as much as me but cant share bed and sofa with them. Apr 9, 2019 4:05 AM CST I love animals but I dont want pets in the house at all. What do you think of me? Apr 9, 2019 4:46 AM CST I love animals but I dont want pets in the house at all. What do you think of me? I can't have a pet due to the living circumstances at the moment, but once I settle down with a partner I would definitely want to have pets. I used to have them and they brought a lot of joy in my life. It would be sad for me to live all my life without a pet, because my partner doesn't like to share his living space with them. Apr 9, 2019 4:52 AM CST I love animals but I dont want pets in the house at all. What do you think of me? Apr 9, 2019 10:48 AM CST I love animals but I dont want pets in the house at all. What do you think of me? What breed is your big brindle puppy? Apr 9, 2019 10:50 AM CST I love animals but I dont want pets in the house at all. What do you think of me? Lots of people eat cats, dogs, and rats. Apr 9, 2019 10:56 AM CST I love animals but I dont want pets in the house at all. What do you think of me? My oldest dog died last December. Trading my pets in on a woman's love, is never gonna happen. Apr 9, 2019 11:05 AM CST I love animals but I dont want pets in the house at all. What do you think of me? Apr 9, 2019 12:13 PM CST I love animals but I dont want pets in the house at all. What do you think of me? mykingdomforanam: What breed is your big brindle puppy? Apr 9, 2019 12:25 PM CST I love animals but I dont want pets in the house at all. What do you think of me? A guy owes me one. If he ever pays up, I'll probably sell off my line of American Bulladors; so I can concentrate all my dog time into Corsos. Apr 9, 2019 12:28 PM CST I love animals but I dont want pets in the house at all. What do you think of me? If you can find excuses to post more pics of him, please do. Apr 9, 2019 5:19 PM CST I love animals but I dont want pets in the house at all. What do you think of me? Apr 9, 2019 5:29 PM CST I love animals but I dont want pets in the house at all. What do you think of me? Apr 9, 2019 5:52 PM CST I love animals but I dont want pets in the house at all. What do you think of me? I don't think you're a bad person. Everyone is entitled to their own wants and needs. Apr 9, 2019 5:53 PM CST I love animals but I dont want pets in the house at all. What do you think of me? I agree totally. I hate to see cats or dogs outside in the summer or winter especially and REALLY hate to see a dog chained up outside. Apr 9, 2019 5:57 PM CST I love animals but I dont want pets in the house at all. What do you think of me? Apr 9, 2019 6:00 PM CST I love animals but I dont want pets in the house at all. What do you think of me? The real question is: Do you clean baseboards? It's not that I hate a neat freak but i do love a pet in my home. Apr 9, 2019 6:04 PM CST I love animals but I dont want pets in the house at all. What do you think of me? Apr 9, 2019 6:08 PM CST I love animals but I dont want pets in the house at all. What do you think of me? Friskyone: It's not that I hate a neat freak but i do love a pet in my home. Apr 9, 2019 6:14 PM CST I love animals but I dont want pets in the house at all. What do you think of me? I have two cats and I love the affection they give me. I feed them hard food but in the a.m. they split a can of soft food, so if I sleep in, one cat gently pokes me in the face or she gently plucks at my hair, my other cat runs around wild like a stallion and meow's loud and constant. When I get up, I ask them "who's hungry" and they both rush me and one meow's as if she is saying "I am". Then they race to where I place their food. It's so cute and funny. Also, I will ask one of my cats " are you pretty?" and everytime she answers with a meow. Apr 9, 2019 6:19 PM CST I love animals but I dont want pets in the house at all. What do you think of me? Apr 10, 2019 10:28 AM CST I love animals but I dont want pets in the house at all. What do you think of me? Like you .. I love critters and also care for them ... just as I do humans. With that said I do have boundaries in my living space ... like insects for example ... bed bugs ... lice ... mosquitos ... rats ... brown recluse or black widow spiders ... vermin of all sorts. Human vermin included .. I just will not have them live with me and get all kissy face .... so to speak. Not interested in spinal meningitis ... polio ... malaria ... syph .. ghono ... having what I love and care for to be damaged or destroyed ... or even stolen. However .. there are family members that I do live with .. and some of them are dogs, cats, ferrets, gold fish, hampsters ... that make me a wealthy soul. I do not mind giving my child a bath with a shampoo ... so if I want to take in a dog with my step-son or daughter ... they get tossed into the shower as well. Apr 10, 2019 4:40 PM CST I love animals but I dont want pets in the house at all. What do you think of me? The reason they are called pets, is because they are household animals , otherwise they would be called wild animals . Apr 10, 2019 4:51 PM CST I love animals but I dont want pets in the house at all. What do you think of me? One2note: The reason they are called pets, is because they are household animals , otherwise they would be called wild animals . Apr 10, 2019 4:55 PM CST I love animals but I dont want pets in the house at all. What do you think of me? I don't understand the connection!! 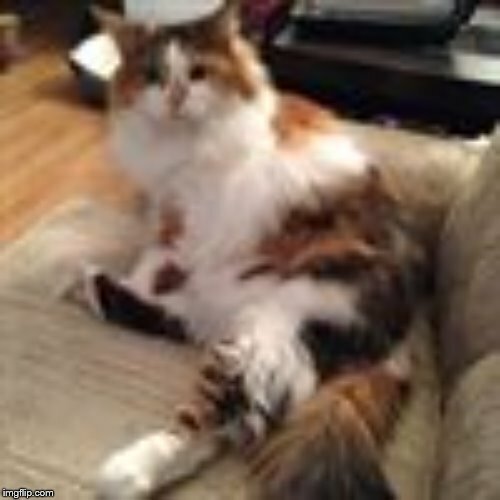 Apr 10, 2019 5:00 PM CST I love animals but I dont want pets in the house at all. What do you think of me? Apr 10, 2019 10:49 PM CST I love animals but I dont want pets in the house at all. What do you think of me? Friskyone: I agree totally. I hate to see cats or dogs outside in the summer or winter especially and REALLY hate to see a dog chained up outside. I hate it when my dog's killed so many cats, I have to keep them chained; because the first thing they do whenever I let them loose, is chase my cats. I love having dog's that eat from the same dish as my cat's; too bad that's not all of them. Apr 10, 2019 11:11 PM CST I love animals but I dont want pets in the house at all. What do you think of me? I'[m the same way..Makes the house stink the people stink and their clothes stink. Those who allow animals to live in their home can't smell themselves because they're immune from the smell. I'm able to stand beside a person and smell their animal without seeing the animal. Apr 11, 2019 11:06 AM CST I love animals but I dont want pets in the house at all. What do you think of me? Apr 11, 2019 11:07 AM CST I love animals but I dont want pets in the house at all. What do you think of me?